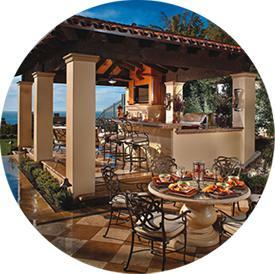 Clearwater Outdoor Design is a well-known, family operated custom pool and outdoor kitchen design company servicing San Antonio and surrounding areas. We take pride in our award-winning designs which use sound construction theories and processes to turn your outdoor living dreams into reality. Nothing about us is "standard." We only offer the highest quality materials and outstanding customer service on every project. We know how to bring out the absolute best in every project by integrating our designs with the beautiful landscape this area has to offer. Our experienced designers work on on one with you to create an outdoor experience you can be proud to show off. Our custom patios give your backyard an area that can be used to entertain friends and family or just provide a nice place for you to relax. Each patio is custom designed and will provide you with years of enjoyment. One of the benefits to living in the Hill Country is the weather. 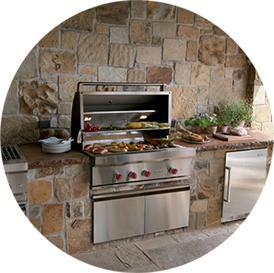 Take advantage of all Texas has to offer by creating an outdoor kitchen that can serve as the hub of your outdoor gatherings. Our Outdoor kitchens are designed to compliment your home's exterior while still offering you all the modern conveniences you have come to expect. What better way is there to experience the ultimate in outdoor living than a custom pool. Our custom pools are designed with your ideas and input so that the pool reflects who you are and becomes a focal point in your yard. 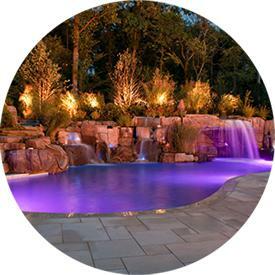 Whether you are wanting a custom pool for relaxation or a tropical oasis in the Hill Country, we have you covered.